I have been called as a missionary of The Church of Jesus Christ of Latter-day Saints to serve in the Taiwan Taipei Mission for 24 months. 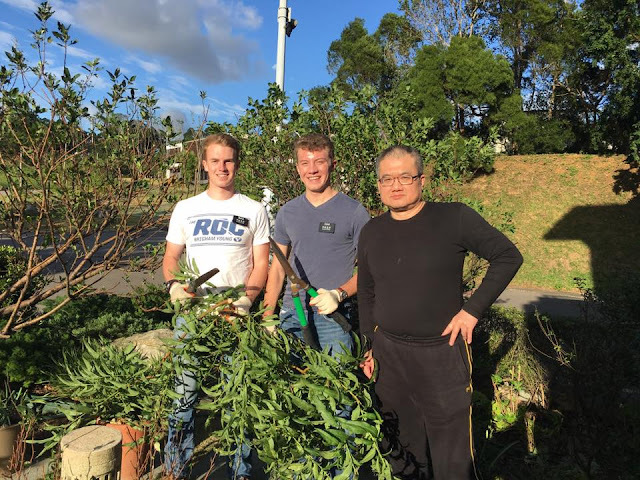 (Sept. 2016-Sept. 2018) This blog is a compilation of the weekly e-mails I send home, which contain my experiences, thoughts, and feelings in the mission field. Hey, so first full week in Taiwan and it was super productive. This whole opening a new area is super tiring. We try to spend as much time as possible on the streets trying to find new investigators and its really starting to pay off, we've met some super cool people and tonight's schedule is actually full with appointments. So Thanksgiving was last Thursday so that was fun. We spent the whole day out finding as normal but a couple Sisters in the ward prepared a little "American Thanksgiving" and it was the cutest thing ever. There was of course a big turkey, mashed potatoes, gravy, but also stuff like fried rice and other Taiwanese foods. So super grateful for them. ​​So Tuesday morning we left the MTC to Taiwan. The flight was super long but we saw a couple miracles along the way and met some pretty great people. When we arrived Wednesday night, we were greeted by President Jergenson, his wife, and the assistants, and they're all super cool. We got to the mission office at like 9:30 or 10 pm and got some street food, which was super good. We stayed the night in the mission office across from the temple and it was beautiful. Taiwan is sooo beautiful. The next day we got up early and went to the Grand Hotel so more beautiful Taiwan and then I got my trainer, Elder Hammond. 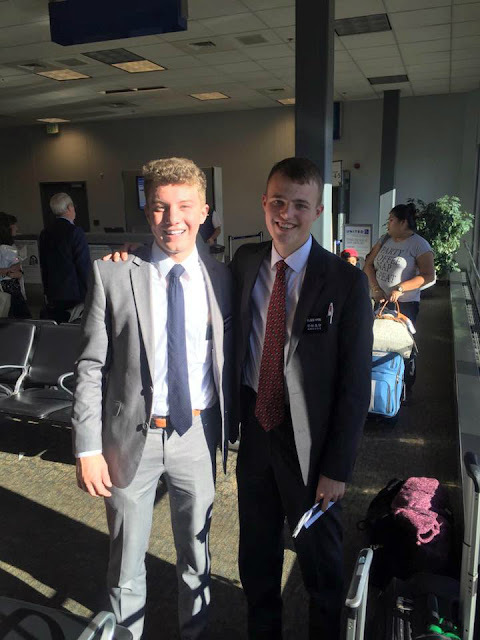 Elder Erickson with his new companion/trainer Elder Hammond from Texas. Saying some awkward goodbyes to the girls. 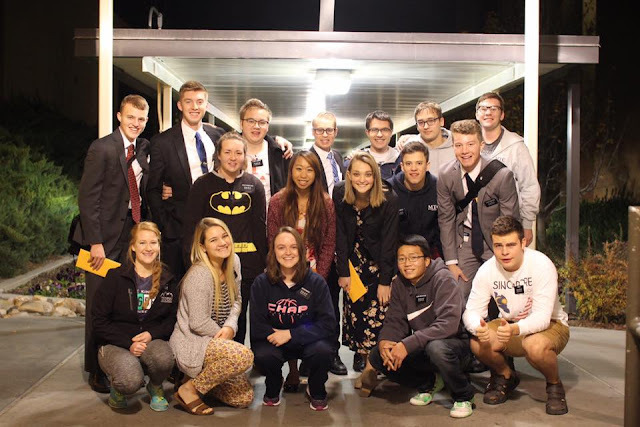 Elder Erickson's zone at the MTC at 4am MST before these 6 missionaries left for the airport. Shared by the sister in the Batman hoodie. They arrived in Taiwan after a very long flight. 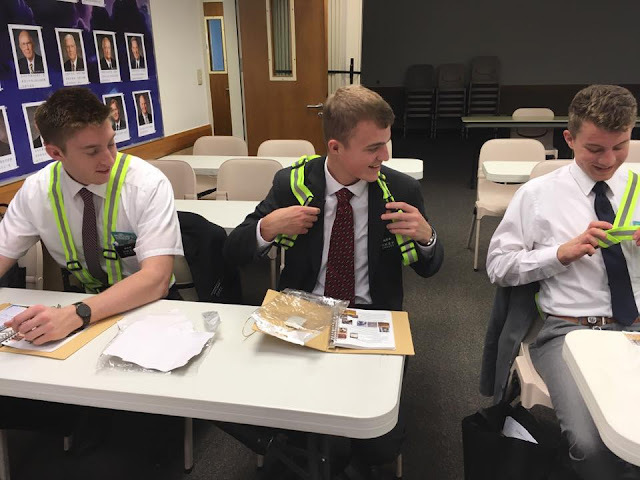 The sister missionary who is the nurse over the mission shared these photos. Saying "New missionaries arrived tonight! They look great for such a long trip! Tomorrow will be training starting in the early morning and in the afternoon they find out who their trainers are and off to their areas!" That's the senior missionary sister that takes care of patron housing with her husband. The missionaries stay there tonight. I (Mom) was sent this kind text today at 10am "Just ran into some excited elders" Thank you to this kind stranger. Elder Erickson messed up his ankle on Saturday playing basketball. They had a small p-day before Sister Burton left for England. He has had X-rays and is meeting with the Doctor now. Another super productive week in the MTC. They go seem to go by faster with each week. It's kinda scary but I'm super excited to get to Taiwan. I leave the MTC at 4 in the morning on Tuesday and arrive in Taipei at 7 PM on Wednesday. Yeah so two more weeks till Taiwan! My district gets our flight plans on Friday and then it's the final stretch. So I'm super excited and I now see why the past district said its easy to lose focus the last 2 weeks. Sometimes you just start thinking about leaving and you forget your purpose here at the MTC. So to combat this, last week I started making some rather serious goals to kinda hold myself accountable at the end of each day. And it has really worked. I really wish I took our teachers seriously when they talked about setting goals when I first arrived here.